peace while she was at this facility..."
The mission of Redwood Village Children’s Center is to provide quality early childhood education for our community of learners and their families. 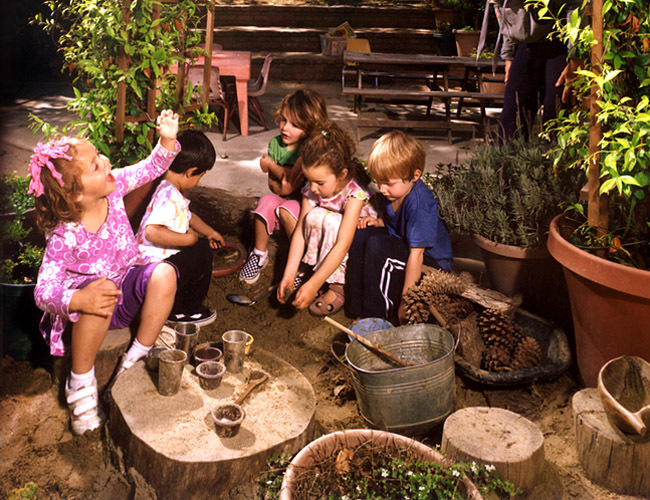 We provide a developmentally appropriate environment in which children are engaged in wonder, creativity, imagination, exploration and empathy. Our goal is to inspire and nurture children’s relationships with others and to embrace and encourage competence and self-reliance. Through our nature-rich environment, we support curiosity and encourage children to make decisions and to work towards their own solutions. We are cultivating an environment where children will later not only be able to provide the correct answers, but will be able to provide the questions that will spark new innovations.